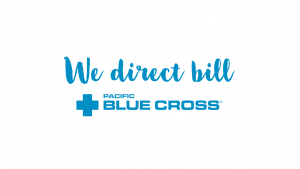 If your primary extended medical coverage insurance provider is listed above then we can attempt to bill our service fees directly to them by submitting the claim to them on your behalf. If the claim is successful then you just pay us the remaining owed (if any – this varies based on your individual plan). In order for us to submit a claim on your first visit, we require the form below to be completed and sent back to us at least 24 hours prior to your scheduled appointment. It can be filled in electronically and must be emailed back to us or dropped off at our studio in advance as your RMT will need time to input your information to the billing program and setup an account for you. Note that we only bill to one insurer per patient and it must be your primary insurance provider. Direct Billing to Insurance Form – Form will download to your computer (check your Downloads folder); your signature will be required at the time of your visit.